Now before you think “oh no, not again!”, let me put your mind at ease. This was more of a consultation visit. Shadow has been eating pretty well since I made those routine changes in December. And this morning, I was really proud of her. 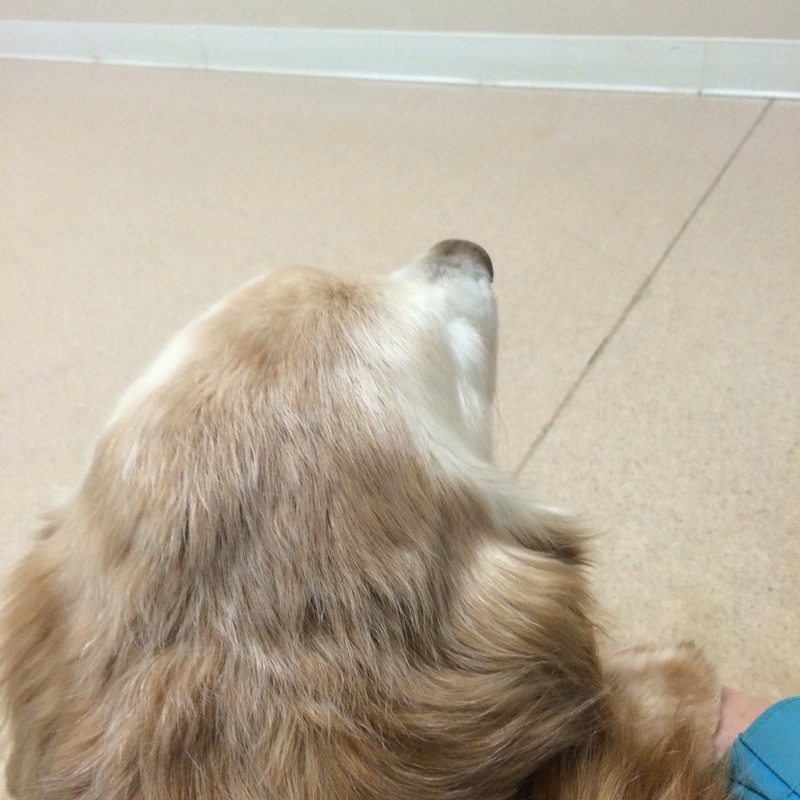 Normally, as soon as we enter an exam room Shadow will curl up in a corner between the bench and the wall. She did this morning. But while I sat on the bench and entered her weight in my notes on the phone, she found the courage to come out of her hiding place. So, I got down on the floor myself and sat next to her while we waited for “Uncle Steve”. When he walked through the door, Shadow stayed put. We both smiled and praised her bravery. The reason for the visit was her arthritis. 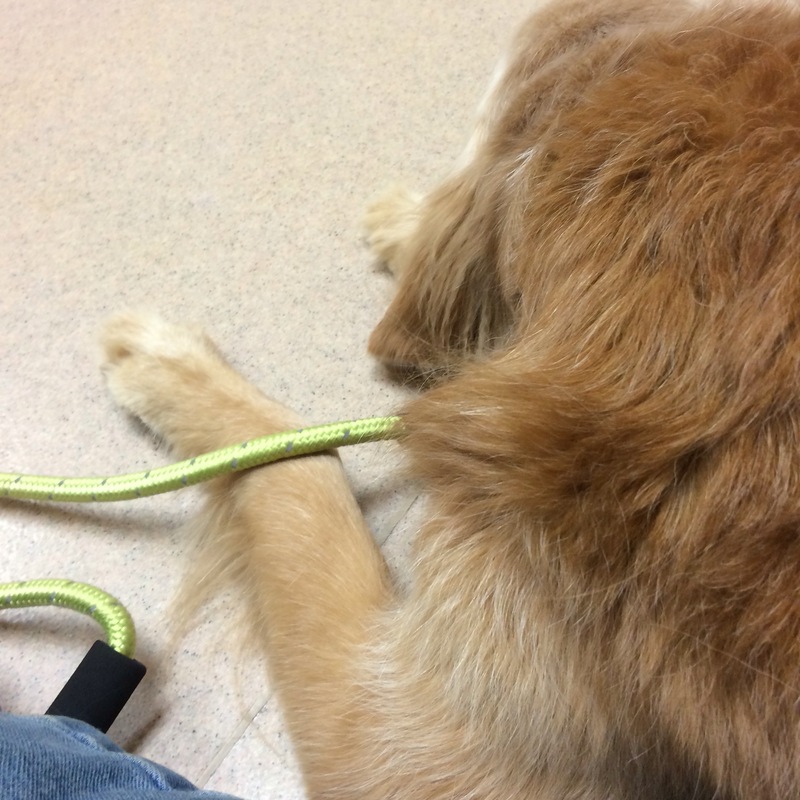 On Friday morning while we were playing out in the yard, Shadow started “gimping” and favoring her left front leg. Her nails looked a little long, so I took her up to the vet for a nail trim. When we got home, I took her back outside for more play time. After a few tosses of the ball, she was gimping again. I called the vet and made the appointment for this morning. And got the okay to give her some Tramadol. My poor girl definitely has arthritis in both wrists and both elbows. It’s not as bad in the right leg as it is in the left one; but we definitely need to manage it as best we can. So, it’s time to get a ramp and start training her to use it. Especially for getting into and out of the car. We only have three steps to the back door – carpeted – so that’s not a big deal at this point. I’m thinking I’ll check out Solvit; but if anyone has another brand preference, please let me know so I can check it out. As for supplements, I’m already giving her glucosamine, chondroitin, and the other hip/joint stuff in her current supplements. I need to check out some fatty acid supplements. Any ideas as to good ones that aren’t overly expensive?